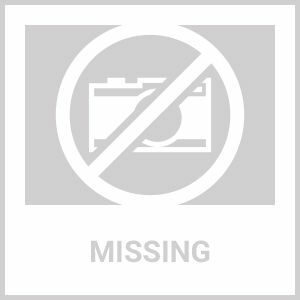 Lafeber's Nutri-Berries Macaw & Cockatoo, 12 OZ, 3.5 Lb, Or 20 Lbs. Feeding your Macaw or Cockatoo NutriBerries will make a difference you'll notice. Your bird will thrive on the stimulation and beak exercise it provides. In fact, 96% of the berry gets eaten. Which means it's not just smart nutrition, it's a smart buy, too. 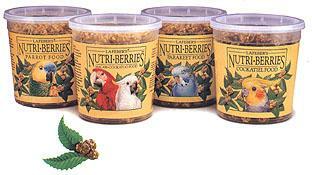 These particular Nutri-Berries are designed nutritionally for Macaws, and Cockatoos, and will appeal to them as well. One way to increase the appeal is to stuff them in a foraging toy so they have to work to get at their delicious treat. Birds naturally forage for food in the wild, and even pet birds have fun searching for their food or treats. Once they bite into the irresistible berry shape that were designed to provide your bird with a variety of beak and tongue sensations, you have won the battle to feed your bird a healthy diet, because Nutri-Berries have a variety of ingredients that meets their nutritional and behavioral needs..
Nutri-Berries are excellent as a complete meal or as a special treat. Most of all, you feathered friend will know its special when you serve them the best.